I was born in Poland on 11.11.1937. 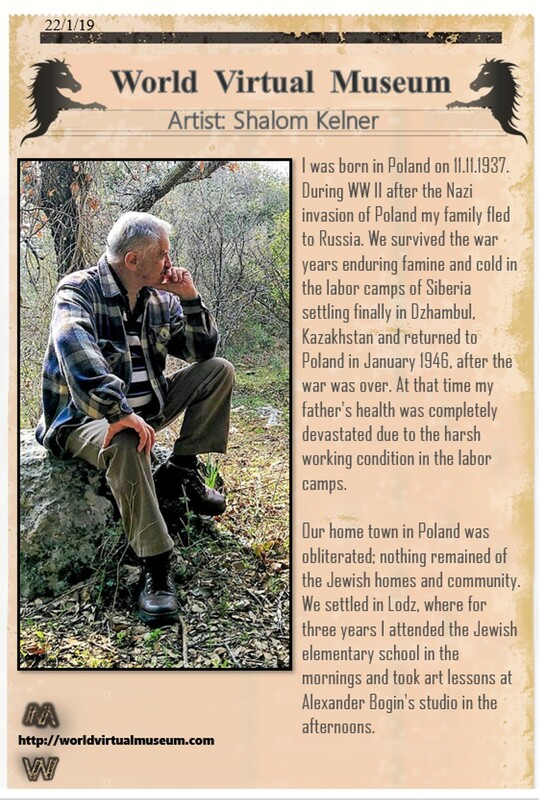 During WW II after the Nazi invasion of Poland my family fled to Russia. We survived the war years enduring famine and cold in the labor camps of Siberia settling finally in Dzhambul, Kazakhstan and returned to Poland in January 1946, after the war was over. At that time my father’s health was completely devastated due to the harsh working condition in the labor camps. Our home town in Poland was obliterated; nothing remained of the Jewish homes and community. We settled in Lodz, where for three years I attended the Jewish elementary school in the mornings and took art lessons at Alexander Bogin’s studio in the afternoons. On 1950 my family dreams materialized as we immigrated to Israel. We were placed in a Ma’abara, an immigrants’ temporary camp/lodging. After five years in a canvas hut we obtained a two room apartment. I remember fondly those years. My father passed away at the age of 47 during my military service in the I.D.F. On 1967 I graduated with a degree in architecture from California State Polytechnic University. 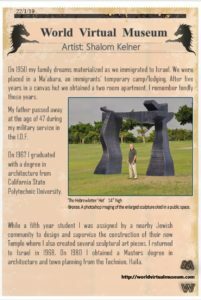 While a fifth year student I was assigned by a nearby Jewish community to design and supervise the construction of their new Temple where I also created several sculptural art pieces. I returned to Israel in 1968. On 1980 I obtained a Masters degree in architecture and town planning from the Technion, Haifa. Since 1977 I have my own architecture firm. Parallel to my architecture practice I have always had my art studio at home and during the last ten years I dedicate all my time and energy to my art. The major idea that dictates my artistic work is twofold: it must possess considerable esthetic quality coupled with expression of meaning and content. My primary subjects deal with Jewish history and Jewish heritage, the Diaspora and the establishing of the Jewish State. The Hebrew alphabet is prominent in my work. 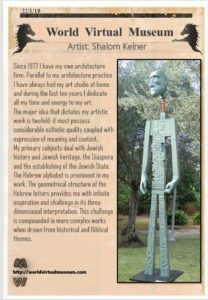 The geometrical structure of the Hebrew letters provides me with infinite inspiration and challenge in its three dimensional interpretation. This challenge is compounded in more complex works when drawn from historical and Biblical themes. 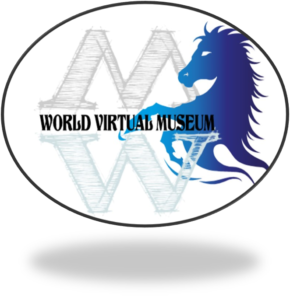 I also find interest in subjects such as the parts of the human body, animals, birds and abstracts as well. My preferred material is wood. To me it expresses friendliness, warmth and qualities that fit my aspirations and personality. Some types of wood have interesting grain structure which contributes and participates in the shaping of the sculpture. Glass, steel, led lights and stone are incorporated in some works. 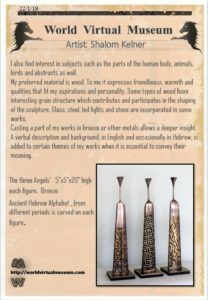 Casting a part of my works in bronze or other metals allows a deeper insight. A verbal description and background, in English and occasionally in Hebrew, is added to certain themes of my works when it is essential to convey their meaning. Ancient Hebrew Alphabet , from different periods is carved on each figure. 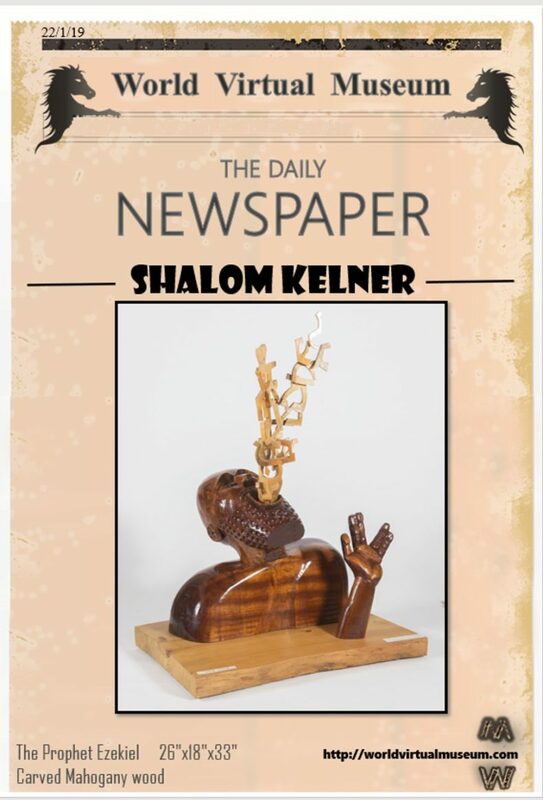 I have exhibited my work in solo and group art shows in Israel and abroad. Although my adult life was occupied by architectural practice, my longing was for sculpture. This yearning occasionally manifested itself in my architectural work by incorporating artwork in buildings I have designed. 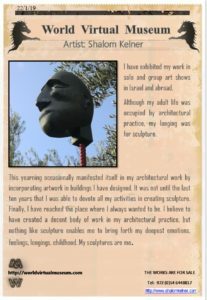 It was not until the last ten years that I was able to devote all my activities in creating sculpture. Finally, I have reached the place where I always wanted to be. I believe to have created a decent body of work in my architectural practice, but nothing like sculpture enables me to bring forth my deepest emotions, feelings, longings, childhood. My sculptures are me. This sculpture describes my conflicts as a holocaust survivor. When WWII broke out I was less that 2 years old. A week later the German planes bombed our Shtetl, in south eastern Poland, 10 minutes later a big part of the Jewish quarter of the town laid in ruins, burned, leaving hundreds of dead, wounded and homeless. My parents and other family members packed their few belongings they could carry and headed east, to Russia. We were sent to labor camps in Siberia suffering from hunger, chilling cold, hard work and diseases. Later we moved east and settled in Dzhambul, Kazakhstan. During those years my father undertook any work he could find as long as he can feed his family. The work he could find was devastating to his health which consequently brought his life to an end at the age of 47. 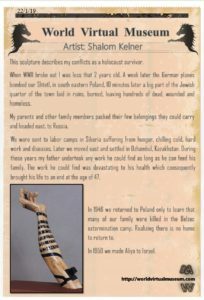 In 1946 we returned to Poland only to learn that many of our family were killed in the Belzec extermination camp. Realizing there is no home to return to. In 1950 we made Aliya to Israel. Similarly asks the little Shmuelchi his grandfather in the poem “To the hills of the corpses in the snow” by the great poet Uri Tsvi Greenberg “Zeide, (grandpa) where have all my prayers gone? Where have all your prayers gone? Zeide why didn’t you come with all the angels in heaven? Zeide, where is the God of the Jews? So I am left with Shmuelchis’ questions and have no answers. I feel something terrible has happened to the people of Israel and God did not do what he had to do as a good father – Save his children – and what can the child do? What do I do with this God? I was born a Jew, I am part of this people, tradition and history flow in my veins. I stretch my protesting arm demanding explanation. Still demanding but in the morning I take my Tales and Tefilin and go to the Shul. 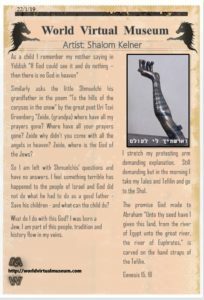 The promise God made to Abraham “Unto thy seed have I given this land, from the river of Egypt unto the great river, the river of Euphrates.” is carved on the hand straps of the Tefilin.